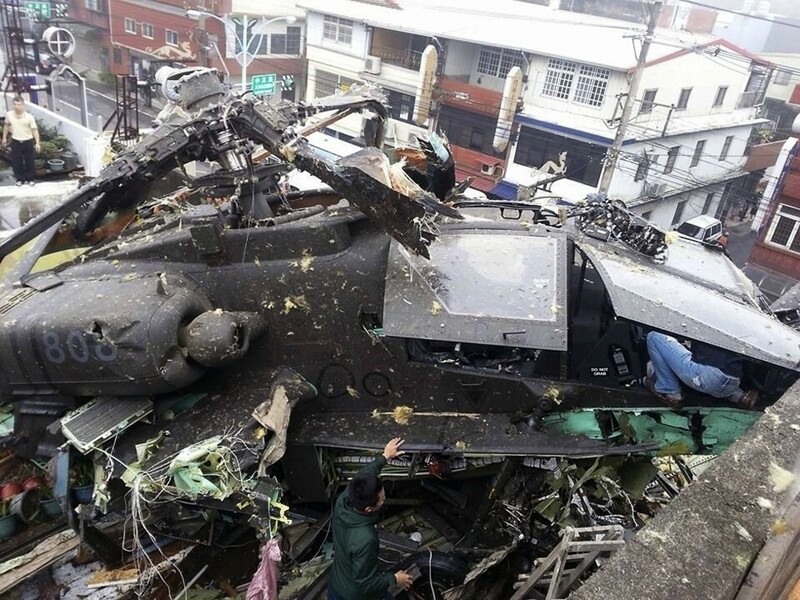 Two Taiwanese pilots were injured on Friday when their Apache AH-64E attack helicopter crash landed on a building in northern Taiwan during a routine training mission, the military said. 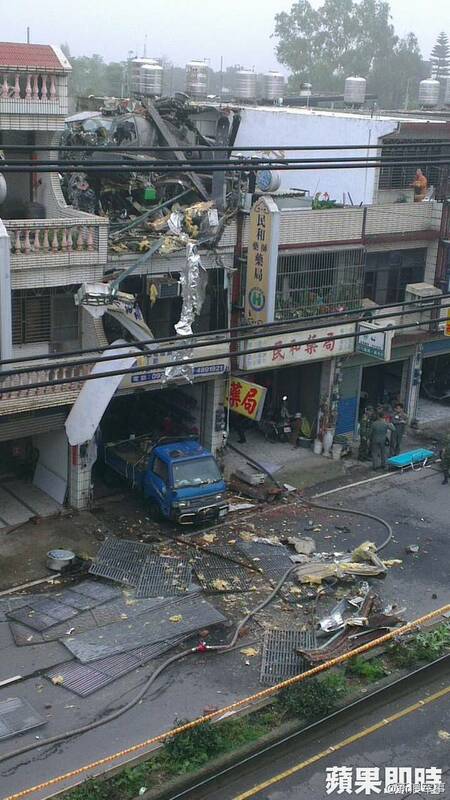 The pilots were sent to a military hospital for treatment to slight injuries after crashing on top of the three-storey building in Taoyuan county but no civilians were hurt, a military official said. 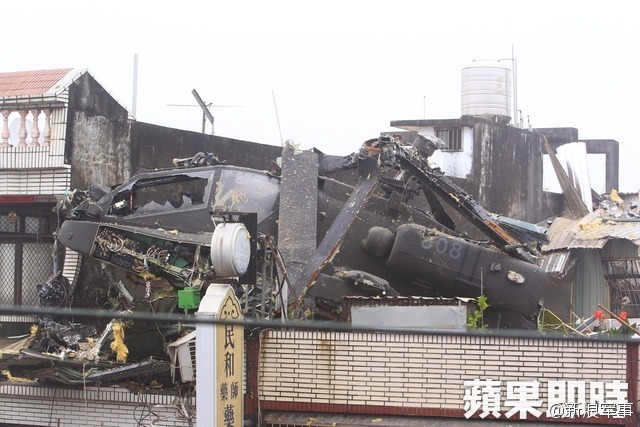 Television footage showed uniformed men inspecting the wreckage of the chopper on top of the building, which was also partly damaged by the impact. 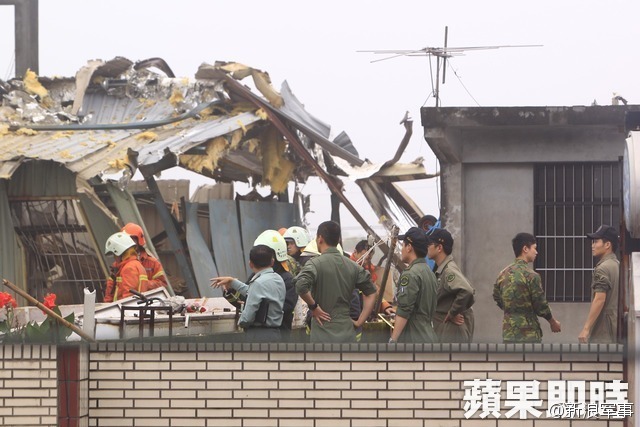 “The incident happened during basic flight training for unknown reasons and a special team is investigating the cause,” an official told reporters.